Glendale, Calif.- The Armenian Relief Society (ARS) of Western USA, Regional Executive is pleased to announce that it will be restarting the tradition of holding the ARS Armenian Festival, which will be dedicated to celebrating ARS Cultural Day and the many offerings of Armenian culture and traditions. A dedicated team of committee members has preparations underway for this much-anticipated community event. This year’s festival will be held on September 29-30, 2018 at the Glendale Civic Auditorium, located at 1401 N. Verdugo Road, Glendale, CA 91208. Festival hours are 1 p.m. – 12 midnight on Saturday, September 29th and 11 a.m. – 7 p.m. on Sunday, September 30th. The festival’s program will be featured on the second floor of the auditorium, where well-known Armenian singers and dance groups will also perform. A traditional Armenian wedding will also be presented, alongside traditional Armenian costumes. A wide variety of delectable foods, prepared by ARS members, will be sold. Admission is only $3 per person and free for children 10 years of age and younger. The first floor of the auditorium will hold exhibits and items featuring the Armenian culture, as well as booths where compatriotic unions will display their cultural exhibits, sample foods, and more. 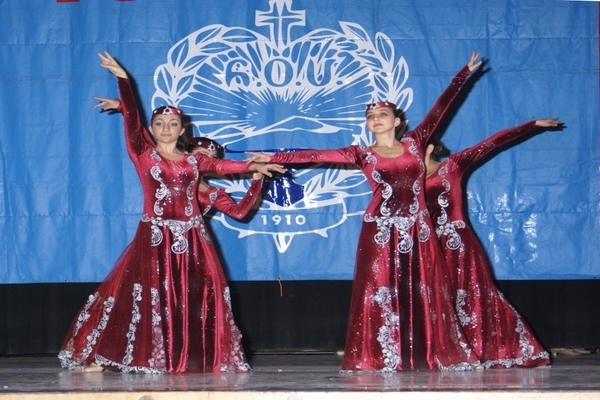 Armenian schools, as well as local organizations and establishments, will also have a designated space for outreach. A children’s corner will have entertainment, games, and crafts for youth of all ages. Through the organization of the 13th Annual Armenian Cultural & Food Festival, the Armenian Relief Society of Western USA affirms its mission of preserving the Armenian culture and heritage. For additional information, contact the ARS Regional Headquarters at (818) 500-1343 or office@arswestusa.org.